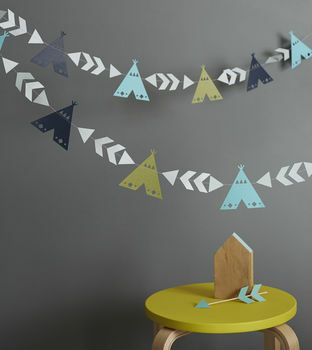 A colourful and fun handmade tipi and arrow garland. Our original tipi and arrow garlands are handmade from thick textured card and stiched together in a range of gorgeous colours. 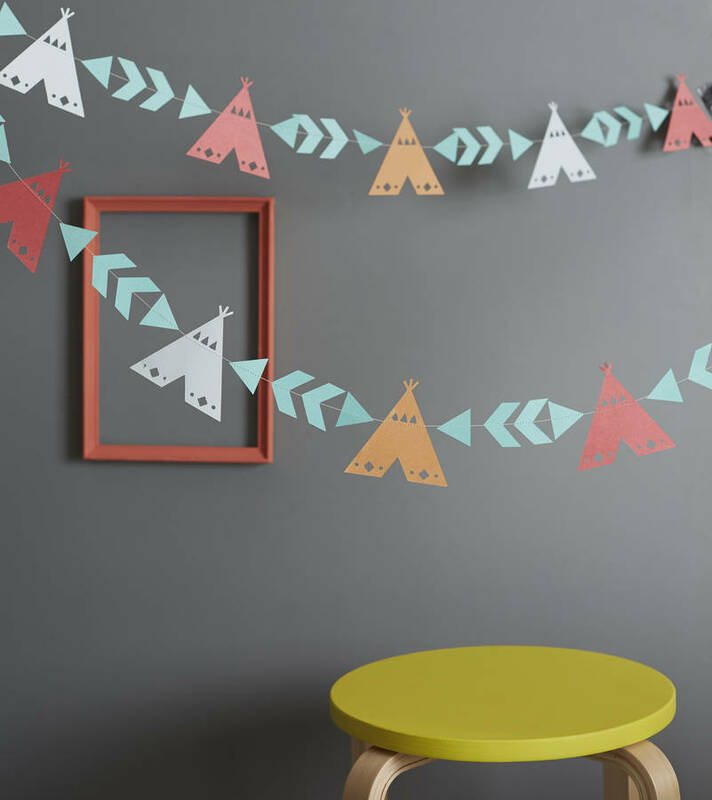 This fun design is perfect for adding a tribal accent to the kids bedroom or why not string up around the garden or home to add a fun touch to kids parties.